A single pretzel from the Philly Pretzel Factory, which will hand out free pretzels for National Pretzel Day on April 26. 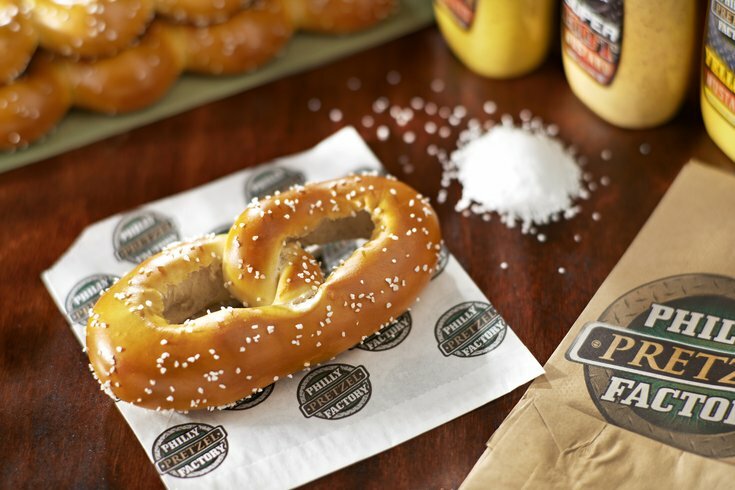 Philly Pretzel Factory was founded in 1998 by Daniel DiZio and Len Lehman. Philadelphia is a food lover’s dream. From world-class restaurants to finger foods, we do it all and we do it well. The foods we are known for are legendary, though not always good for the waistline. Much as we indulge, do we fully appreciate the array of delicious treats available to us? PhillyVoice spoke with several former Philadelphians now living around the country and the globe to discover what they miss most. If they could receive a special shipment from home, what would be in it? The answers revolved around food, but you may be surprised at what was mentioned--and what was not. For many, the thought of Philadelphia evokes the imagined taste and smell of cheesesteaks. Sports broadcasts in the city predictably showcase the bright lights of Pat’s and Geno’s in their video packages, as if the city has produced no other culinary achievements. While the sandwich is beloved, perhaps it hasn't captured the heart and soul of Philadelphians as much of some of the city's other noteworthy foods has gone unmentioned in our conversations. Tied for first place as the Most Missed items are the mighty hoagie and soft pretzels. More commonly called submarine sandwiches in other parts of the country, the name by which it is known is the first indication of whether or not it's the real deal. There is no substitute for a Philly hoagie, and it is, “The number one thing I miss most,” said Julia Ransom, a lifelong Philadelphian who has lived in New York City for two years. With an Amoroso or Sarcone’s roll, the ability to get the perfect hoagie from corner stores and powerhouses like Primo's alike is a uniquely Philly delight. Sandrine Forgeron lived in Philly for 13 years. Now residing in Paris, France, an authentic hoagie is not among the wonders available in the City of Lights. “I miss a good hoagie the most,” Forgeron said wistfully. As for those soft pretzels, we take for granted that everywhere you go in Philadelphia, you can get a delicious, satisfying soft pretzel. Mario Lombardo, who now calls West Palm Beach home, said it didn't matter if the pretzels were from Philadelphia Pretzel Company or a lunch truck--he wishes he could get his hands on an authentic one. “Right now, I’d love a real Philadelphia soft pretzel – warm, preferably – but even five for a dollar would be great off of a shopping cart in the middle of the road,” said Lombardo. If good pizza could be freshly delivered across states and timezones, there would be many happy former Philadelphians. Suzanne Keller didn't realize what she had when she moved to the West Coast until it was gone. 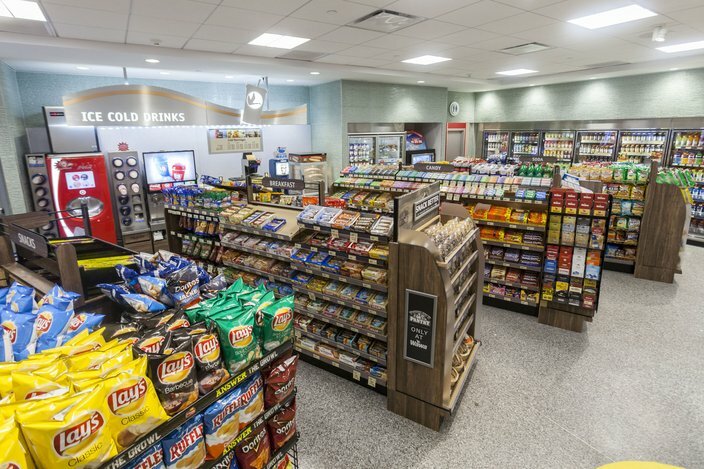 Wawa's new flagship location at Broad and Walnut streets in Center City. More challenging to deliver, but missed by many is Wawa. “I would happily have someone just up and ship an entire store, but I'd also take a Wawa iced tea, Italian Shortie and a bag of Herr's Sour Cream & Onion chips,” Keller said. Herr’s chips were mentioned by several people we interviewed as an item they missed. 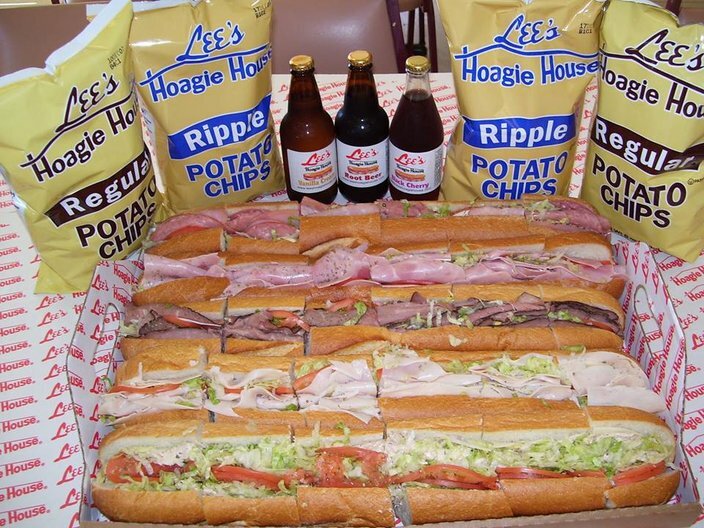 Perfectly paired with hoagies or on their own, the quality, ubiquity and variety of the salty snacks in the Philadelphia region is one of the quintessential tastes of the city. A cold brew pairs nicely with many items from the Most Missed list. Forgeron misses the strength of the city’s craft beer scene, including the variety and affordability, which is currently missing in France. Kara McDonald, who now calls Seattle home, said she misses the BYOB scene in Philadelphia. 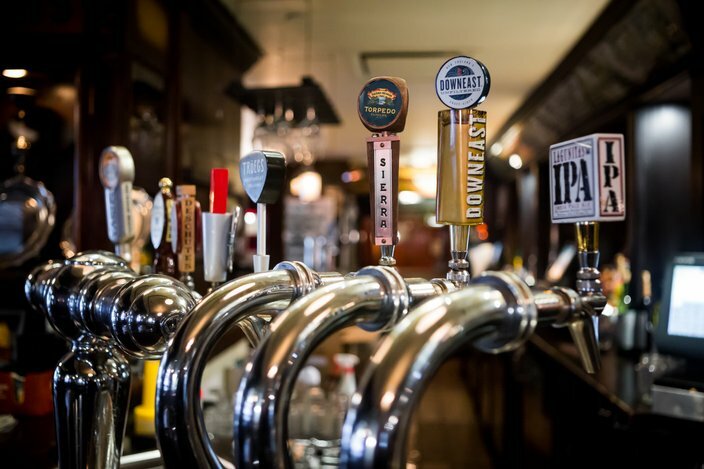 Pennsylvania’s bizarre liquor laws contribute to something good after all, it appears, though it's certain that the laws themselves are missed by no one. Honorable mentions to the Most Missed list include DiNic’s roast beef sandwiches, pork roll and Federal Donuts fried chicken. In a city bursting with culinary delights, it is the simplest comforts that make the most memories. What would you miss most if you left Philly? Please leave your comments below.